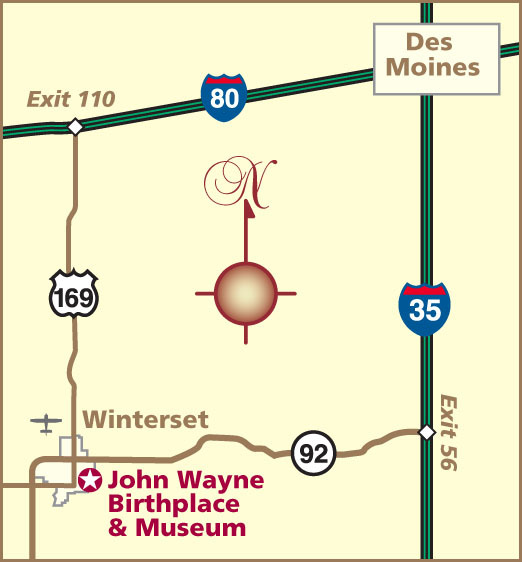 On Memorial Day weekend, May 22nd-25th, Winterset hosted a three-day celebration to honor the birthday of John Wayne and the Grand Opening of the new John Wayne Birthplace Museum. 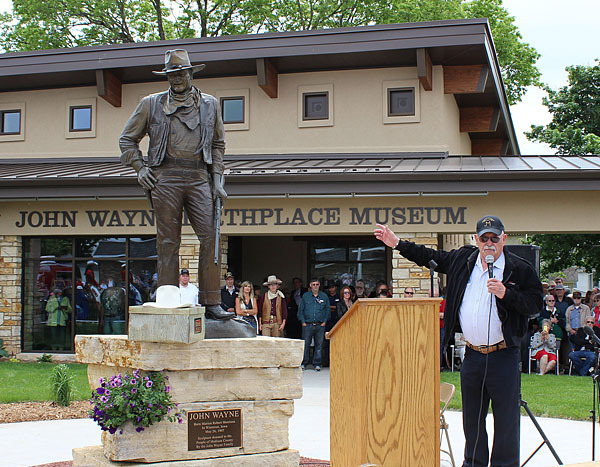 Some of the weekend’s festivities were captured by local photographer and John Wayne Birthplace Society Member Wayne Davis of TYPExpress®. 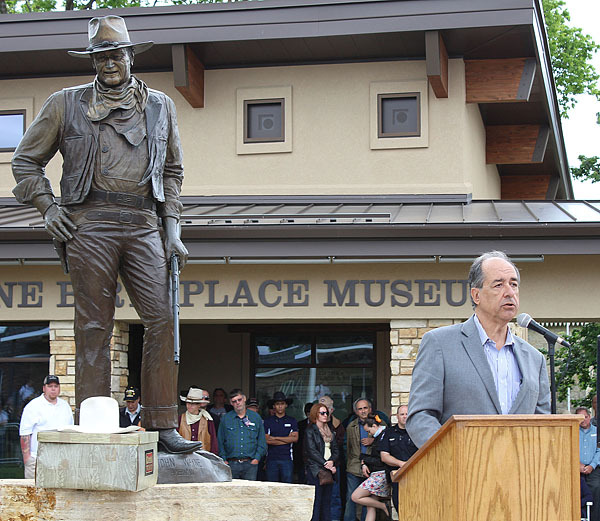 John Wayne Birthplace & Museum President Joe Zuckschwerdt gave the opening remarks at the ribbon cutting ceremonies in the new Museum plaza. 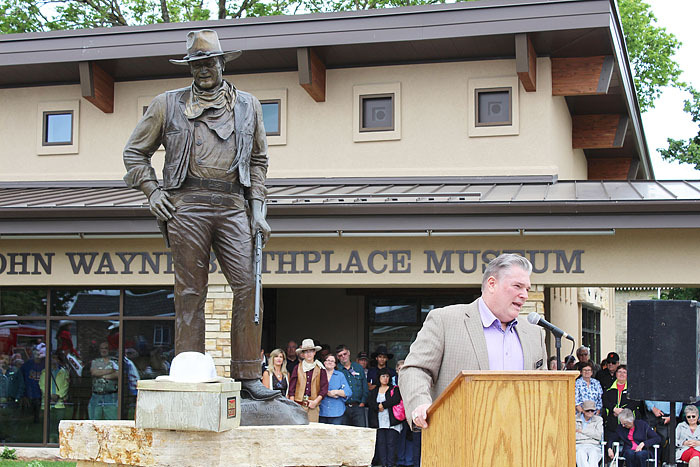 Behind him is one of John Wayne’s personal hats, and the larger-than-life bronze statue of Wayne by David Manuel, a gift from the Wayne family. 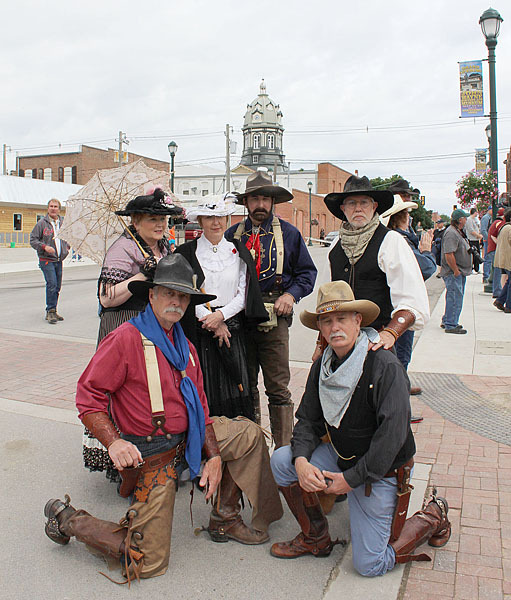 Plenty of folks came in their finest western garb. 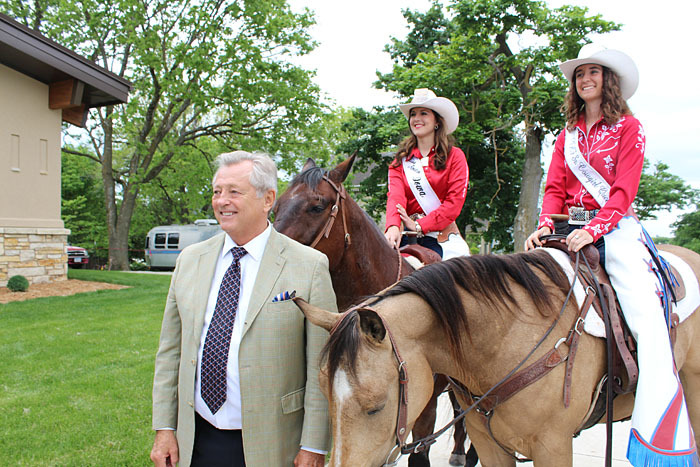 Christopher Mitchum, who starred with John Wayne in several films, posed with rodeo queens Hannah Hilsabeck (left), Miss Rodeo Iowa, and Jessica Hanrahan (right), the Iowa Horse Fair Senior Cowgirl Queen. John Wayne Birthplace Manager Carolyn Farr (left) and the crowd applaud Birthplace Executive Director Brian Downes (right), whose tireless efforts on the fundraising campaign and so much more helped make the new John Wayne Birthplace Museum possible. Scott Eyman, New York Times bestselling author of John Wayne, The Life and Legend gave the keynote speech. 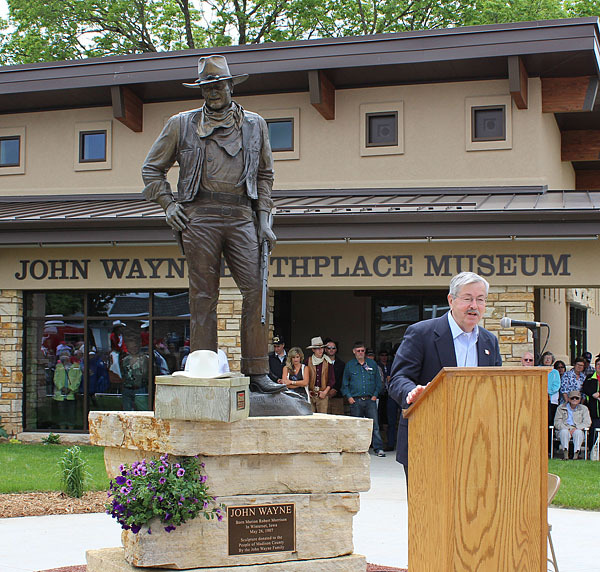 Iowa Governor Terry Branstad, a big John Wayne fan, said a few words at the Grand Opening ceremonies. 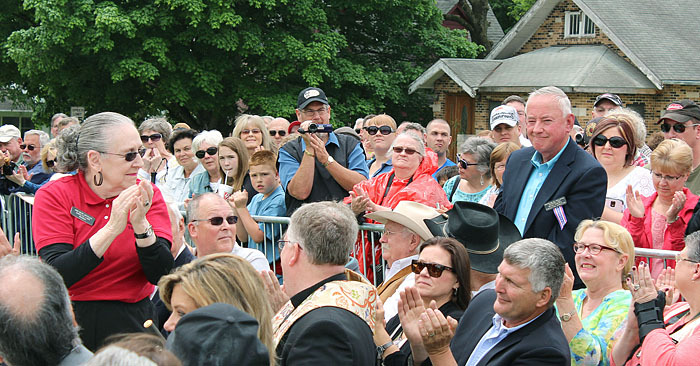 Actor Barry Corbin spoke about how John Wayne influenced his life and career. 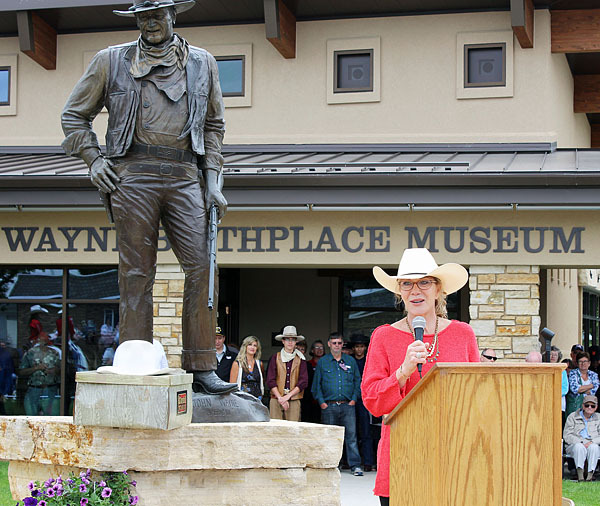 John Wayne’s daughter, Aissa, spoke to the crowd at the ribbon cutting. 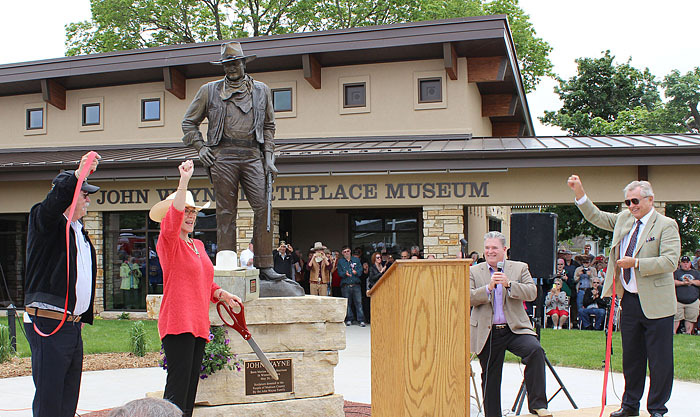 The new John Wayne Birthplace Museum is officially open!